I can't decide which shoes are my favourite yet, but I tend to like the ones from Irregular Choice with the purple heels and the attached flowers (bottom right corner) a lot. They are the most fancy ones. So what are you waiting for? 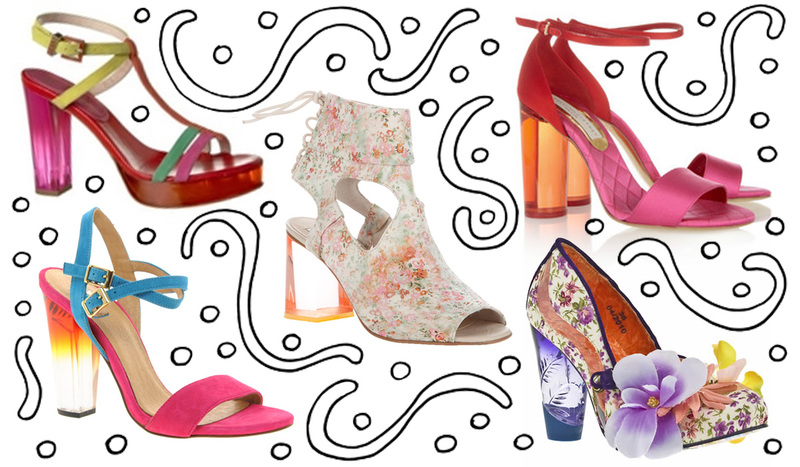 Prepare yourself for spring and brighten up your shoe closet with a pair of these transparent heeled shoes! They will be the trendy thing to walk around when the weather gets warmer, I assure you. Which shoes from my choice do you love best? A transparent heel ? What a fantastic idea ! I want some !!! Love them all, my sweet Sara. Btw, thank you so much for your lovely comment on my other blog, Parasol Dreams! I'm glad that we all love The Dainty Doll's House. It's nice having common blogging friends. :) ! !